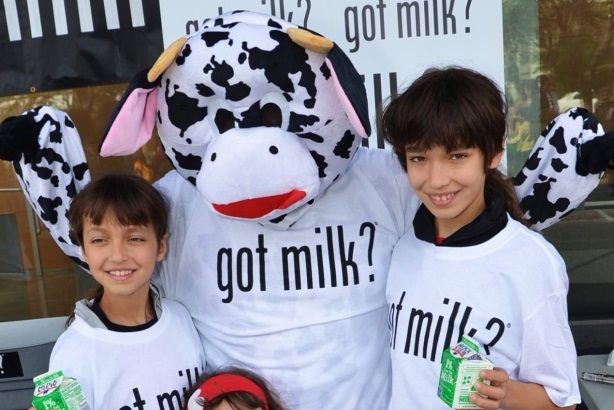 SAN CLEMENTE, CA: The two-decade-old "Got Milk?" slogan hasn't expired. It's going strong in the Golden State, according to the California Milk Processor Board and agency partner RL Public Relations. The California Milk Processor Board runs ads independently of the national Milk Processor Education Program, more commonly known as MilkPEP, said Yanka Burgos, VP at RL Public Relations. Years ago, MilkPEP licensed the Got Milk? slogan for its iconic milk mustache campaign. However, it moved the tagline aside last month in favor of "Milk Life." MilkPEP is working with longtime agency partner Weber Shandwick to promote the new tagline. RL PR has long served as the California Milk Processor Board's AOR, said Burgos, and it has never considered leaving the Got Milk? tagline behind. Rather, it has applied it to a range of consumers, touting the benefits of milk for skin or hair health, for example. Burgos added that the statewide organization has kept up with the evolving media landscape while retaining Got Milk? On February 25, the @GotMilk account tweeted, "Reports of ‘Got Milk?' demise greatly exaggerated. National trade group has a new line, but @GotMilk alive for Calif. Milk Processor Board." Burgos added, "We've been very blessed with ‘Got Milk? '— it's been one of those ad campaigns that has had an incredibly long shelf life." Despite changes to MilkPEP's national campaign, Burgos said she has not experienced any pushback or a negative reaction from consumers, adding that she is not sure they realize different organizations are producing separate campaigns. Instead, she said she believes they are used to seeing distinct campaigns rolled out simultaneously, such as the "happy cows" or milk moustache efforts. Representatives from the California Milk Processor Board did not immediately respond to inquiries seeking comment.